I will admit, I’m not big on watching that much TV, I find I would rather spend my time with my wonderful wife, or creating new patterns and expanding my small business. 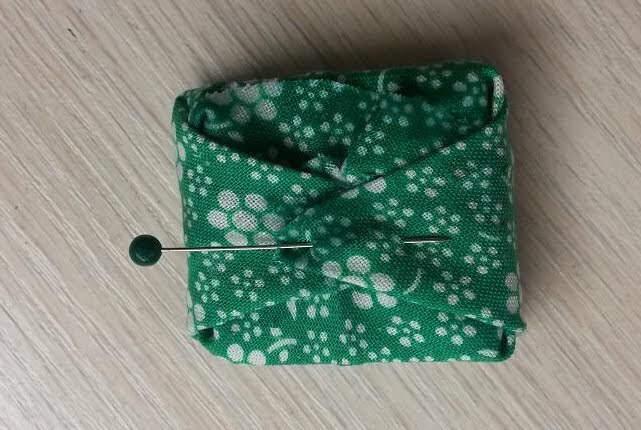 Though I felt myself suffering from a bit of FOMO, when the twitter community was busy chattering about the Great British Sewing Bee. Eventually I gave in and watched an episode... an then another and another and another until I eventually had to come out of the fabric closet and admit that I am hooked! One thing I noticed how a good few of the sewists were using pattern weights instead of pins to cut out their patterns. 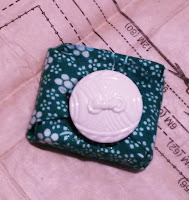 Coming from generations of avid pinners I began to wonder what all the fuss was about, and decided to give this weight business a try, for the first time in a lifetime’s worth of sewing, and let me tell you, it was WONDERFUL! 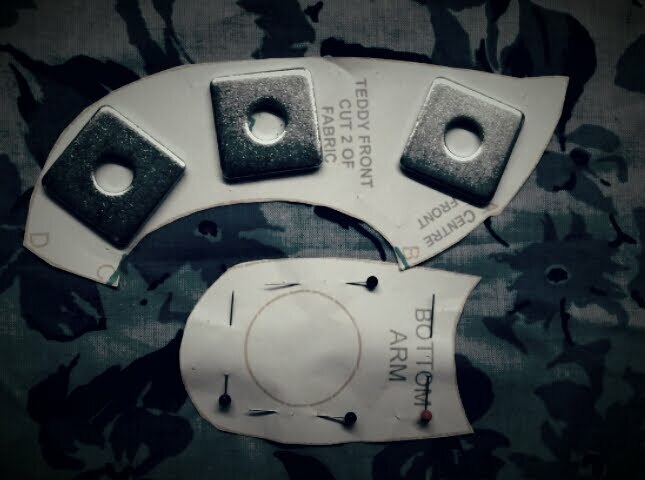 As any busy seamstress knows, time is just sucked into a black hole during the processes of pinning (pinning and pinning some more) as well as transferring pattern markings. So the chance to reduce time in either of these areas is ALWAYS welcome. 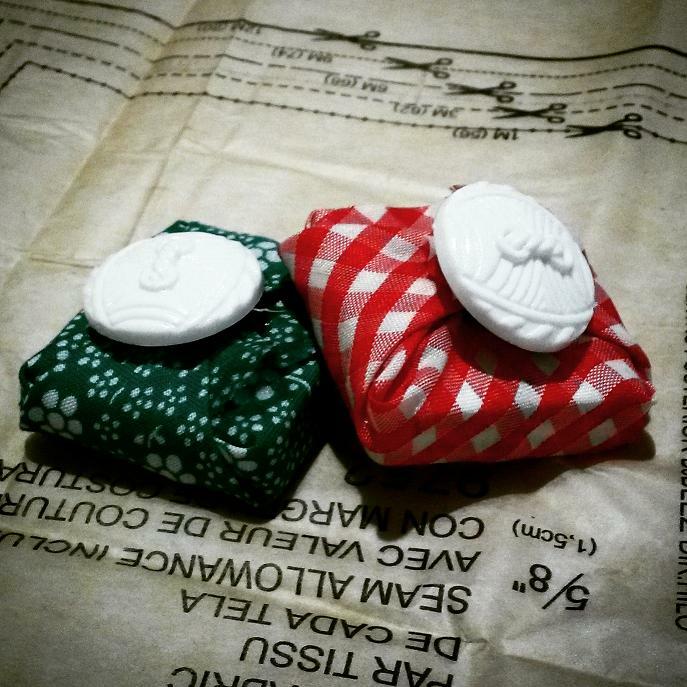 The only question now is what do I use as fabric weights? Well the answer is simple... anything that is heavy enough. 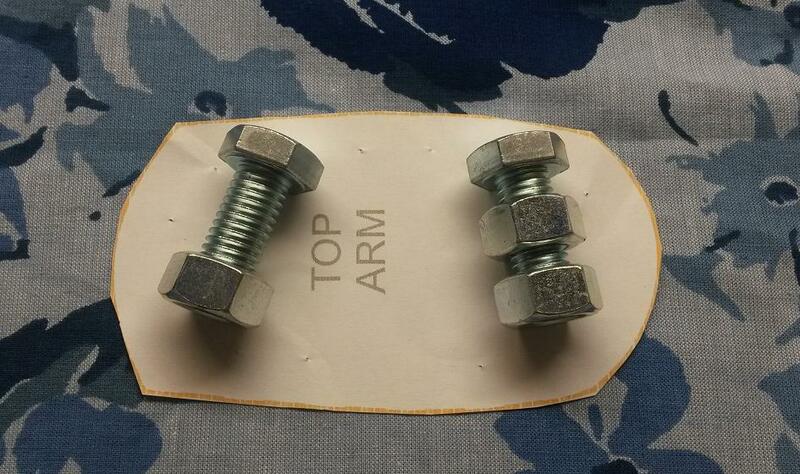 With my new excitement of fabric weights I rushed off to the nearest hardware store and came back with two options. 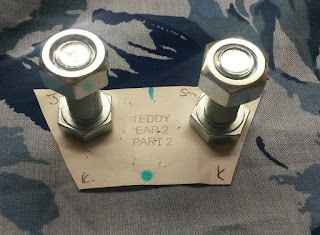 Firstly, some nuts and bolts. These are really well suited to very small fiddly pattern pieces, especially ones being cut out of lightweight or delicate fabrics. 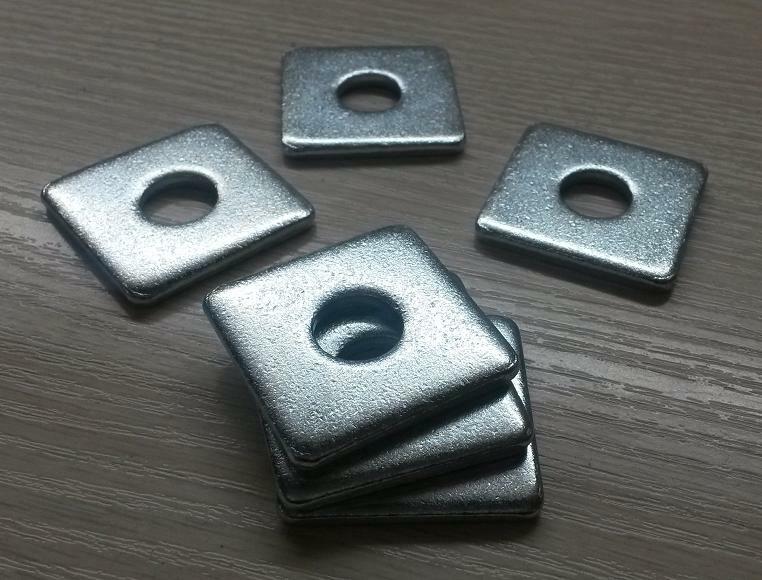 The second option I decided to give a try was some heavy washers. 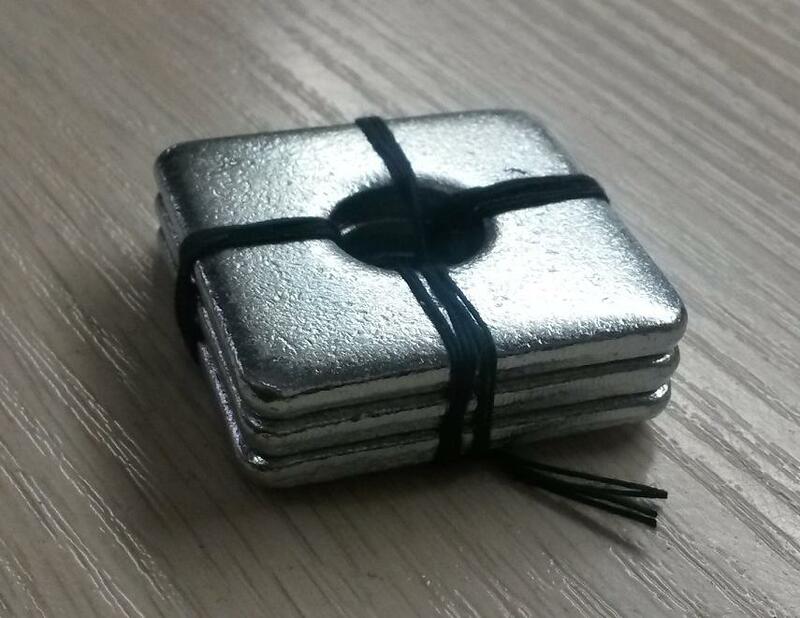 I got square ones as these seemed to be more weighted than the round ones. As singular weights they are quite well suited for light to medium weight fabrics. If you need something heavier (or just something prettier looking so hubby doesn’t lay claim to your washers) below is a quick tutorial on how to make yourself some custom pattern weights with a little more heaviness to them. Just a note: Fabric weights do work well with scissors, however very stretchy or heavy fabrics may be a little difficult to cut. In this case I would suggest using a rotary cutter instead. Secure the washers together with some of the upholstery thread to prevent them from moving around. 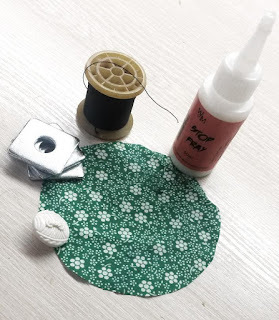 Finish the edges of your fabric circle with the Stop Fray or fabric glue to prevent the edges from fraying. 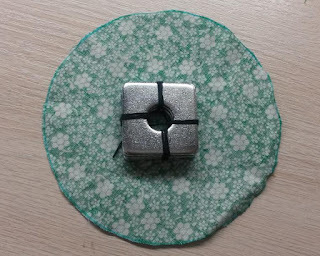 Once the glue is dry, place the washers in the center of the circle of fabric. Fold the fabric edges on the other sides to more triangular shapes. Fold them over the washers and secure with a pin while you hand stitch the ends into place. Finish off with a decorative button. And just like that, no more bent pins, torn patterns and frustration with stretch fabrics, I am sold on pattern weights! 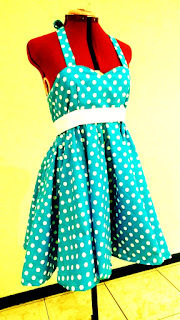 We have decided to create a pattern pack that includes all the sizes of our Easy as Pie Dress. Sizes range from a petite dress size 6 to a plus dress size 20. 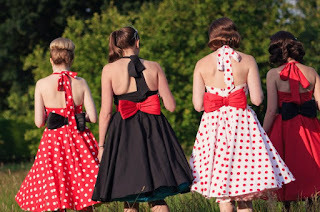 This cute dress is not only a flirty party dress, but can also be used as a bridesmaids dress for a Rockabilly themed wedding.